Former New York Yankees legendary shortstop Derek Jeter now heads the operations for the Miami Marlins, and he was out and about searching for potential trade partners for star catcher JT Realmuto this offseason. The Yankees came across his table as a potential suitor, but his asking price was far too high. 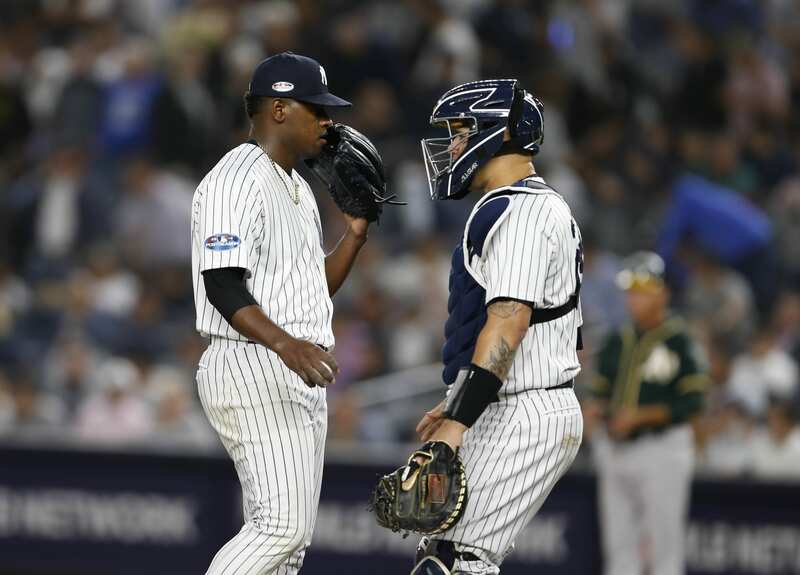 What did this deal mean for the New York Yankees? This implies that, in fact, the Bombers were interested in the services of Realmuto and what he has to offer. The Yanks already have youth product Gary Sanchez at the position, but a terrible 2018 season where he batted .186 with 18 passed balls behind the plate, might have scared them into searching for a better player. Jeter, an aggressive CEO, asked for both Sanchez and youth star Miguel Andujar. So, to be clear, he wanted a good catcher on a down year and a rookie that hit .297 with 47 doubles. Yes, Realmuto is good, hitting .277 with 21 homers last season, but giving up two good players for one above average one is a hefty asking price, especially when it comes to youth players on minimized salaries. The Yankees were smart to walk away from the talks, as Andujar was rumored to be a potential trading piece if Manny Machado was signed to a deal. Instead, Andujar remained a Yankee and his departure seemed to be nothing more than smoke and mirrors, while Machado remains unsigned. Owner Hal Steinbrenner stated that the team might still be prowling the free agent market, but I would assume any more deals would be minimal and cost-efficient.